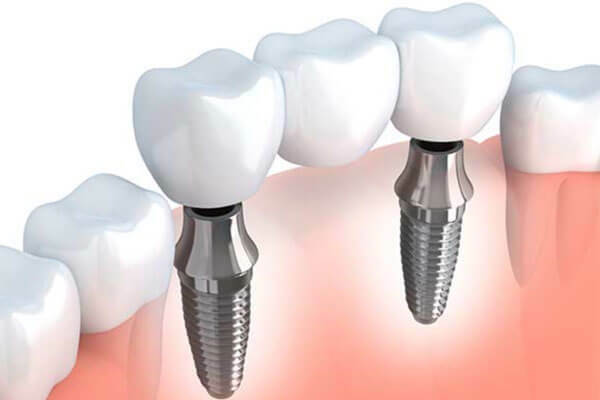 Dental implants replace tooth roots in the mouth. 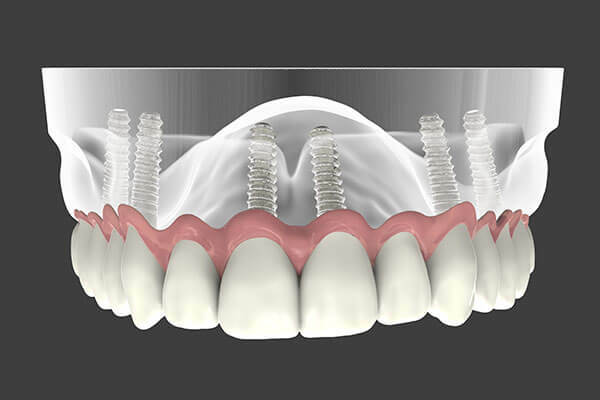 Implants provide a strong foundation for fixed or removable replacement teeth and can aid in the prevention of bone loss in the jaw. An implant supported bridge is a restorative solution for spaces where three or more adjacent teeth are missing. This restoration typically requires two implants to support the porcelain bridge. The bridge provides a functional and aesthetic replacement for a patient’s natural teeth. For patients who are missing many or all of their teeth, implant supported dentures may be an alternative to traditional dentures. This solution requires the placement of two or more implants. In order to replace a full arch denture, a minimum of four implants is generally recommended. Eligibility for this solution is dependent upon a number of factors, with jaw bone density being one of the most significant determining factors. Traditional dentures rely on an acrylic base that sits directly on the gums, held in place by a paste or adhesive. 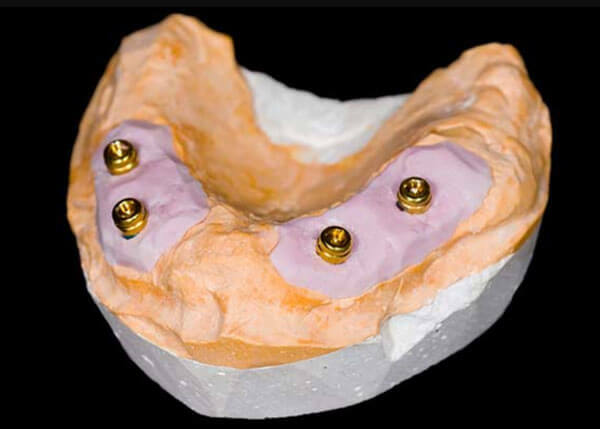 Using implants as supports for dentures allows for a smaller and more comfortable base and less shifting of the prosthesis during use. Implants can support both full and partial dentures as well as both fixed and removable dentures. If a removable denture is selected, the denture will “snap” on to the implant rather than requiring the use of denture paste or adhesives. This procedure is a unique implant solution that allows patients with a completely edentulous (toothless) upper or lower arch to replace all of the teeth in that arch using only four implants as anchors. 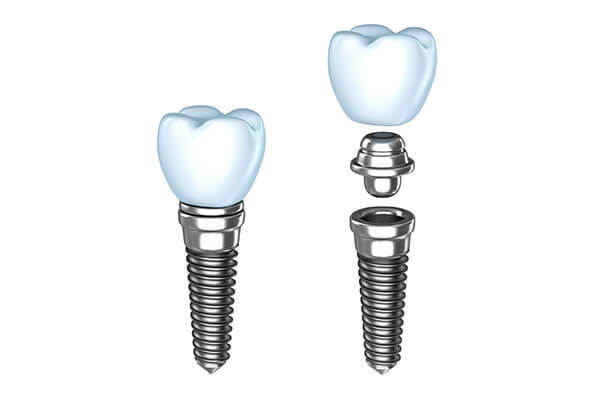 Want to know more about why you should choose dental implants?